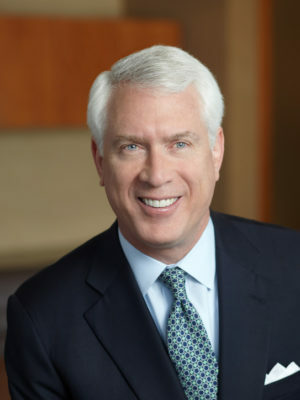 Mr. Williams is the President, Chief Executive Officer and a Director of Atlantic Capital Bank and its holding company, Atlantic Capital Bancshares, Inc. He has over 38 years of experience in banking, finance, and capital markets, as well as extensive experience in executive management roles at publicly held banking institutions. From July 2003 until March 2006, Mr. Williams was Managing Director and Head of Wachovia Corporation’s International Corporate Finance Group with responsibility for Wachovia’s investment banking and corporate finance activities in Europe, Asia, and Latin America. After the merger of Wachovia and First Union in 2001 and until July 2003, he was Executive Vice President and Head of the Global Corporate Banking Division. At Wachovia, Mr. Williams held the positions of Chief Risk Officer, Executive Vice President and Co-Head of Wachovia’s Capital Markets Division and Executive Vice President and Head of Wachovia’s U.S. Corporate Banking Division. Mr. Williams serves on the boards of the Metro Atlanta Chamber of Commerce, the Georgia Chamber of Commerce, and the Good Samaritan Health Center. He was previously a Director of the YMCA of Metropolitan Atlanta, and the High Museum of Art and is a member of the Buckhead Coalition. He served as Chairman of the Community Depository Institutions Advisory Council (CDIAC) of the Federal Reserve Bank of Atlanta and its representative to the CDIAC of the Federal Reserve Board of Governors. Mr. Williams graduated with honors from Auburn University with a BS in Finance and has completed management development programs at the Colgate Darden School of Business at the University of Virginia and the Fuqua School of Business at Duke University.